Expect 4-6 weeks for production of this piece. This ring cannot be exchanged but if needed can be resized for a fee. 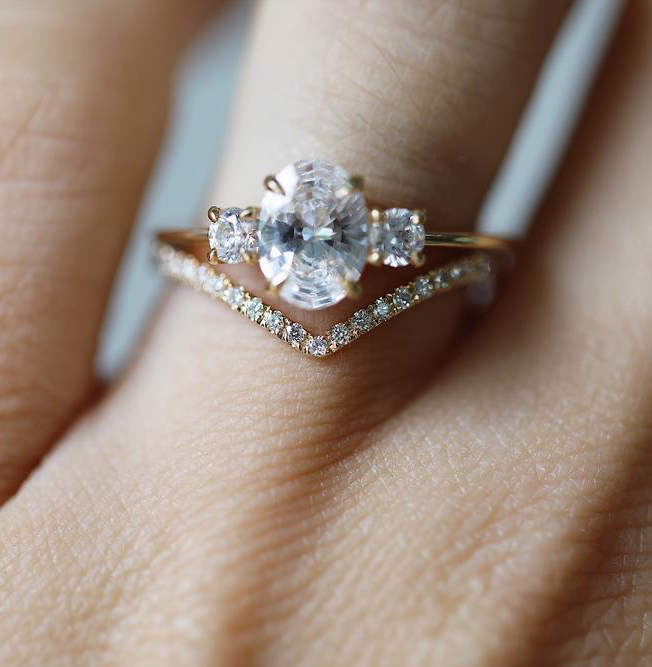 Pavé set bands should not be downsized more than a 1/4 size to maintain the integrity of the setting but can be upsized. Contact us for a quote in 18k or platinum or to request a rush. 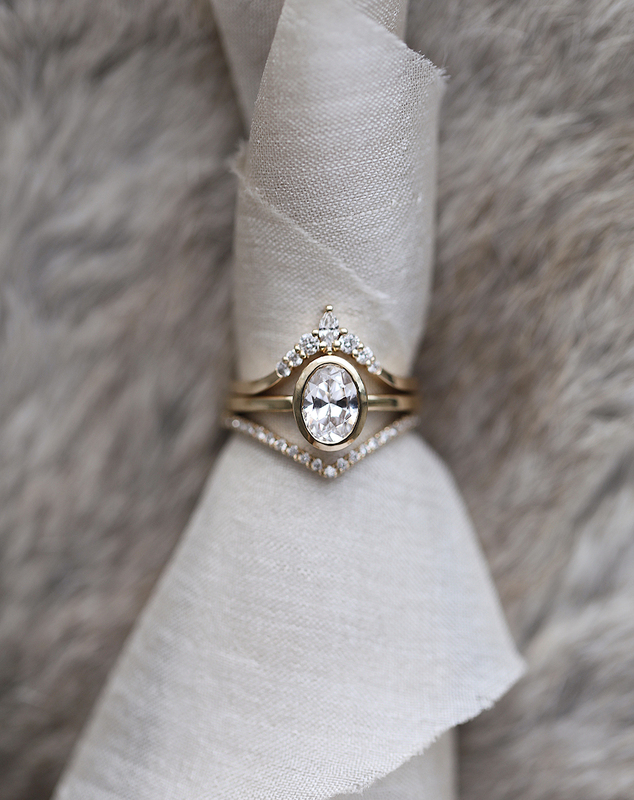 Mirco pavé chevron band that adds an edgy sparkle. Ali designs simple, clean designs with complex and brilliant stones. Inspired by her relaxed California roots paired with the timeless aesthetic of New York, Everett embodies the fusion of the East and West Coasts. Each piece makes a delicate and unique statement while introducing curiosity.